We love a good style shoot, especially one that is inspirational and easy for brides to do themselves. 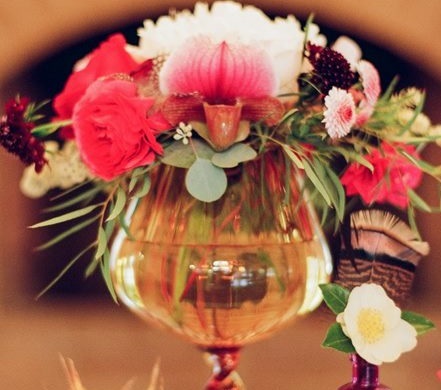 We really love the use of color and the simple touches that really bring this shoot together. Phebe from Making Me Events has a few words about this fabulous shoot! What a creative table setting! Nice silverware and menu on plate! Lovely! Thanks so much for all of the lovely comments ladies! This is adorable! I also can’t help but notice that the model’s hair has the perfect amount of beach-y waves 🙂 So pretty. 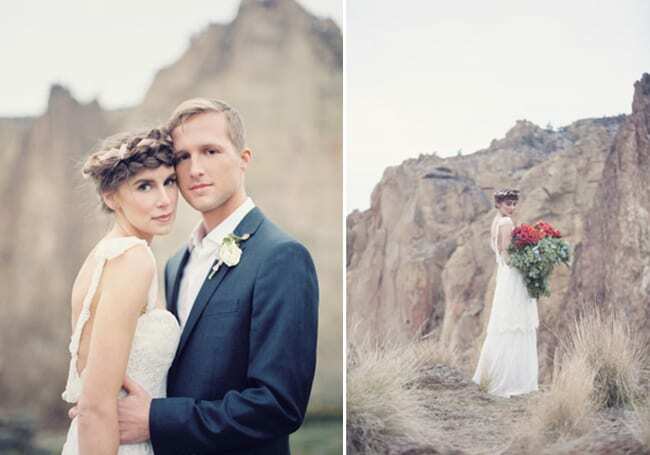 Love, love, love this shoot–how gorgeous! This is such a beautiful shoot! I especially love the use of burlap and the color scheme…it’s all so warm and inviting!